Famous for his nudes and portraits as the »painter of the flesh«, the interest in Lucian Freud has again in recent years increased immensely. Freud, who spoke of his human models as »animals dressed«, has also dealt in detail with nonhuman animals in his work. He made no distinction between his models; with both – animals and people – he was in search of their true nature. ­Selected works in this book highlight three phases in Freud’s work: at the beginning the shaping of dead ­bodies; then the animal as a companion, connected with the turn to portraiture; at last the English subjects with dog and horse representations. 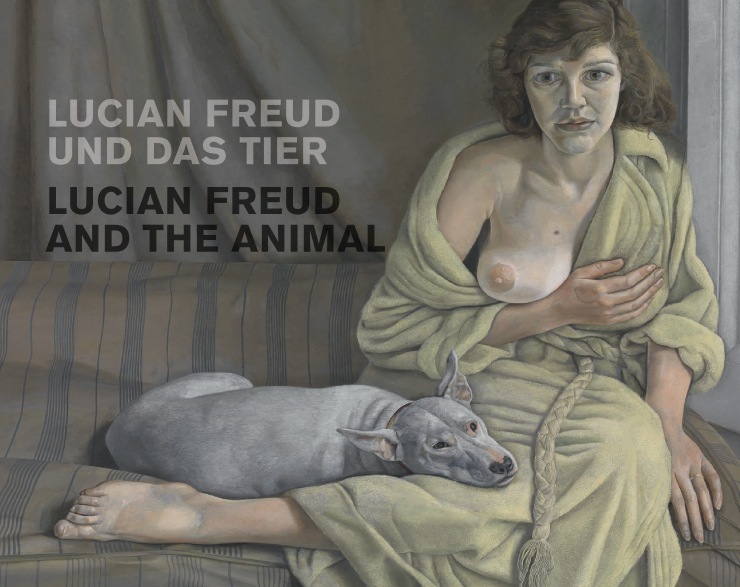 By focusing on depicting animals, the exhibition aims to encourage a new consideration of the artistic development and cre­ative process of Lucian Freud. Exhibition and book ­encourage a reevaluation of the work of the ninth laure­ate of the Rubens Prize awarded by the City of Siegen in 1997, whose work is represented at Kunstmuseum Siegen with permanent loans from the private collection Lambrecht-Schadeberg.